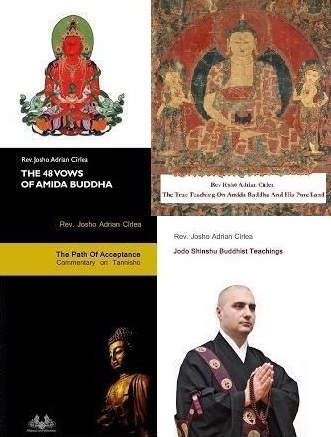 There are various types of recitations and services in Jodo Shinshu temples but most of them are difficult to learn in short time, so I decided to arrange a simple Nembutsu service which anybody can learn easily and engage in when visiting the temple for the first time. I hope you will find it useful. Click here to download the pdf with the words, instructions and explanations. Hi, my name is Paul Roberts and I'm here to talk to you today about the only practice in True Shin Buddhism - True Shin Buddhism of Master Shinran and Master Rennyo. One reason is confusing is because many of us have come to Shin Buddhism from other Buddhist paths. And in any other Buddhist path you can think of, whether it's part of the Hinayana or the Mahayana or the Vajrayana, the Tibetan path, it's always about your [own] practice. Practice involves discipline, it can involve study, it can involve keeping precepts, it can involve engaging in particular good works so-called "six paramitas"... And its all these things that Buddhists are told to do diligently, continually, over and over again, which supposedly will make you clear your mind stream and eventually become a Buddha if you continue to practice. Now, one of the fundamental ideas in Shin Buddhism that Master Shinran says is that none of these paths work anymore for anybody. The Paths of Self-Power are closed to us. I have recorded that in another video. 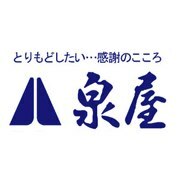 But instead, in Shin Buddhism, there's only one practice and that practice is listening deeply: deep hearing of the Dharma called "Mappo" [“of the Decline Age”] in the Japanese. 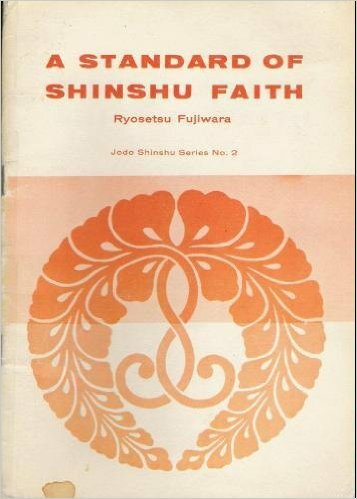 Now, [other reason] this ideas have also become very confusing because many of the people who are teaching Shin Buddhism today are actually not people of the same Shinjin as Master Shinran. Here are many of these people who are very famous in the Sangha, who don't even believe that Amida Buddha is a real Buddha or that the Pure Land is a real place. And because there are such variants with Master Shinran's teachings, nothing that they say in terms of their Dharma Talks can really be counted on to be true. Anf finally, what's really important to understand then is that Amida Buddha, billions and billions of years ago, over sixty billion years ago, conceived of and came up with a Dharma path that was going to be just as useful to people of no particular ability, people who are ignorant, people who are illiterate, people who have Buddhist Attention Deficit Disorder and can't calm their minds, not to meditate or contemplate. 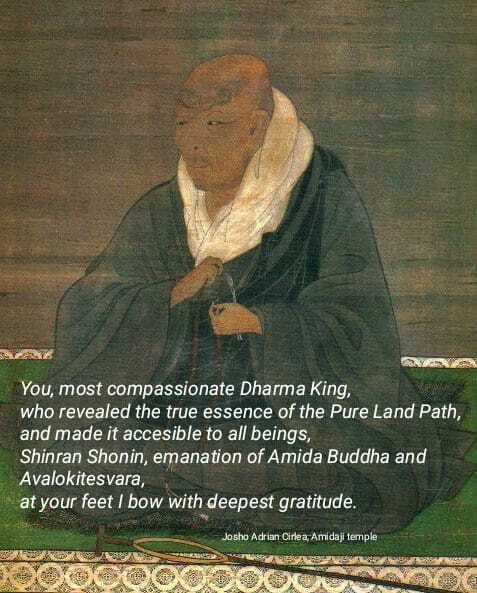 And the Dharma path he came up with was for these people first; as Master Shinran says, "for the evil person first" and then for the good person; for the ignorant person first, and then for the wise person; for the person who can't do any self-powered Buddhist works first, and then for the persona who has a capacity. Now, there are three components to listening deeply, and I'm going to explain them. I'm going to tell you what they are in a language simple enough that anybody can understand, whether you've been studying Buddhism for forty years or you're just now looking at Buddhism for the very first time. The first part of listening deeply is listening with the head, listening with your intellect to understand a very simple basic teachings of True Shin Buddhism: the true teaching of the Pure Land Way. These teachings are understandable by anybody. Master Shinran tells in one of the stories how when he was a young man he went out with Master Honen, his teacher, and the first person they run to was an illiterate peasant who didn't know anything about anything. And Master Honen talked to him for a short period of time -maybe half an hour, maybe an hour, I'm not sure- but at the end of the time when they parted ways, Master Honen turned to Master Shinran -young Shinran, I should say- and he said: "that man's Birth is assured. That's how easy it is to transmit and to intellectually understand the essential content of True Shin Buddhism. But, at the same time, Master Shinran says that coming to become a person of Shinjin is actually the most difficult of difficulties. And the reason that's so is because is not just a matter of listening with the head. After we've listened with the head and understood the content intellectually, now we have to listen with the heart. We have to listen in our deep inmost being to decide, to find out whether or not this Dharma message is true. And thats's what most people are not willing to do, unfortunately. But let me explain to you exactly what listening with the heart is all about. And to start I want to tell you a quick story you may have heard before about a man who went to see a Dharma teacher because he decided he was excited about becoming enlightened. He wanted to become a Buddha. So he sought out a Dharma teacher and he went to see him and he knocked on the door. The Dharma teacher opened the door, the man said "I want to be a Buddha, I want to become a Buddha, I want to become enlightened". And the teacher invited him: "come in", he said, "I'll make you some tea, we'll have tea together while talk". So the man comes in and sits down. The Dharma master puts the kittle on and then he begins to make the man some tea. All this time the man is talking, talking, talking, talking. He just never stops. He doesn't shut up for a minute. "I think this, I think that, I have this opinion, I have that opinion... yabi dabi dab dabi, yaba dabi dabi dabi". He goes on and on an on. He doesn't take a break even for a minute as he is giving the brain dump of everything he has in his head. So the master starts to pour some tea and he pours and he pours into the man's cup. The cup gets filled up and the master keeps pouring and pouring and pouring, and the filled cup is overflowing, and the tea is running all over the table and down into the man's lap. And the man stands up, "excuse, what are you doing?, what are you doing?" And the master looks at him and says: "Listen, you came to me asking to hear the teachings so you could become enlightened, and yet you are so full of your own ideas you just don't have any room in your head for what I have to say. It's like this tea cup: your cup is full, and therefore I can't pour you any of my tea". So that's really the point here. In order to begin to listen to this Dharma, you have to be able to empty your cup. You have to be able to lay aside all your own ideas, your thoughts, everything you understand, everything you think you understand, everything you learned in college, everything you read from Carl Jung, from Joseph Campbell, or from watching Star Wars, or from studying Tibetan Buddhism, Zen Buddhism or any other kind of Buddhism, or any other kind of metaphysical literature, or listening to any other teachers... You've got to temporarily put it all aside. 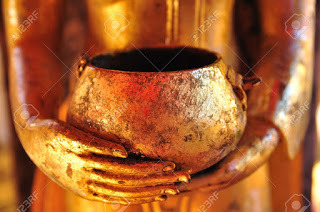 You must empty your cup in order to evaluate the Dharma propositions of the Masters. You don't have to let go of your ideas permanently, but temporalily. While you're listening deeply you have to let go. Is Amida Buddha a real Buddha, as Shakyamuni says and Shinran says? Or is he just a mythic metaphor so many modern Shin Buddhist teachers say? Unless you are willing to empty your cup, and lay aside you predispositions and thoughts, you'll never know. But, if you empty your cup, and you ask the Buddha within, you will eventually hear a definitive answer. You may hear words... you may just get an intuitive sense... You will hear from the Buddha within that yes, Amida Buddha is a real Buddha, and, yes, the Pure Land is a real place. And, yes, there is no other path to Buddhahood for us in this day and age. All these are basic Dharma thoughts that we hear from our Dharma Masters over and over again. Now, let me tell you this idea of listening deeply is actually exactly what the Buddha himself said to do. There is a famous story -it's actually a sutra called "the Kalama Sutra"- and it talks about a time when the Kalama people went to speak to Shakyamuni. And they said: "We are just really confused. We hear this from one teacher, we hear this from another teacher, we hear something else from you... We don't know who to believe. What should we do?" And the Buddha, being absolutely the smartest guy in the room, the singular world *turner*, the truly enlightened one, he said to the Kalama people this. He said: "Listen, don't believe anything that anyone says, including me, just because we say it. You have the responsibility to listen to what we say and then to take it inside and to ponder it deeply. And only if you can sense that it's the right stuff, that it's the true teaching, should you take it to heart. It's exactly what I'm talking about when I talk about listening deeply. So there are three parts of listening deeply: The first is listening with the head, to understand the basic content of our Dharma message. The second is listening with the heart: empty your cup setting aside your pre-existing ideas so that you can understand and listen into your heart from the Buddha within whether these teachings are in fact true. And the third part of listening deeply is being willing to talk to somebody who can serve you as a true teacher, so you can ask every question that you have and answer every doubt that might be in your heart, because until you ask all your questions and answer all your doubts "you have not cleared the channels of faith". That's a phrase Master Rennyo used: "clearing the channels of faith". And you will not become a person of Shinjin. As a close, I just going to read you these little passages from Master Rennyo's writings that talk about this in a very straightforward way. 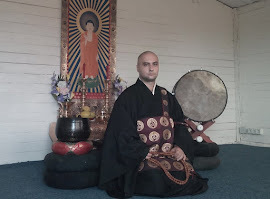 So, Master Rennyo says: "Meetings are occasions when, even if only once a month, just those who practice in the Nembutsu should at least gather in the meeting place and discuss their own faith and the faith of others. Recently, however, because matters of faith are never discussed in terms of right and wrong, the situation is deplorable beyond words. In conclusion, there must definitely be discussions of faith from now on amor those at the meetings. For this is how we are to attain Birth in the true and real land of Utmost Bliss". 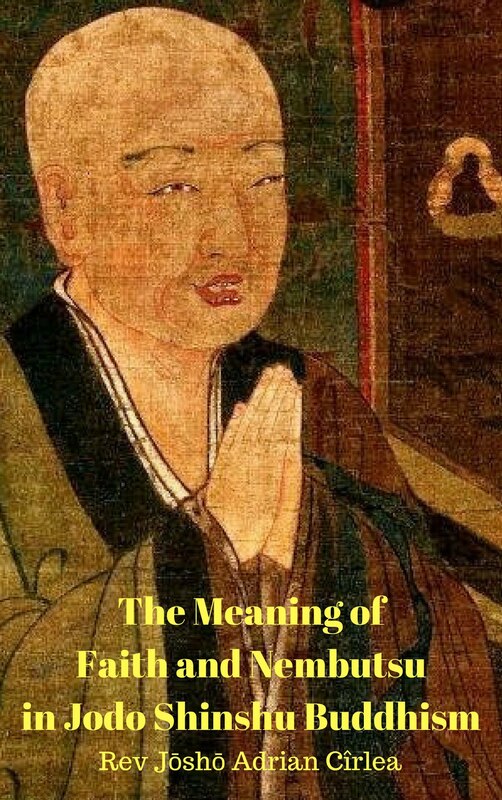 An Master Rennyo also wrote this: "Even if you feel that you understand the significance of the Buddha Dharma -having listened through sliding doors or over a hedge- faith will be decisively settled only by your repeatedly and carefully asking others about its meanings. If you leave things to your own way of thinking, there will invariably be mistakes. It has been said recently said that there are many such instances these days. You should ask others, time after time, about what you have understood of faith, until Other-Power faith is decisively settled. If you listen but once, there will surely be mistakes". So I'm saying to everybody who's listening to this video that listening deeply is the only practice in True Shin Buddhism. It is the singular practice for us. It is so critical that we actually listen deeply. It's critical if you're going to become a person of Shinjin in this life, a Buddha when this life is over. First you understand the intellectual content of the Dharma message and then, once you've understood the intellectual content, you basically go inside and you ask the Buddha within to bear witness to whether or not this teaching is true. That's the only thing that matters if you're going to become a Buddha: "Is this teaching true?" "Can you entrust yourself entirely to this teaching?" If you can't answer to that question you're never going to be a person of Shinjin. And finally, don't be ashamed, don't be afraid, don't be proud; go find a good teacher of the Dharma, a person of Shinjin and ask every question you have. Ask once, ask twice, ask a hundred times until you get every answer you need to get, so that you could have no more doubts and that you can freely entrust yourself to Amida. I wish you all the best. If you have any questions, feel free to contact me through this video. 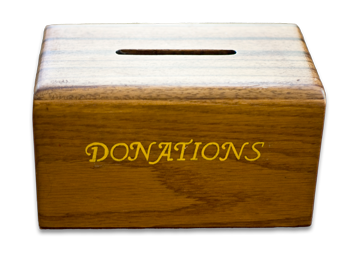 Now, I'll be glad to answer them, and I'll see you again soon with several videos that I'm putting together on the three pillars of True Shin Buddhism, the three fundamental ideas that define our simple universal Dharma message. 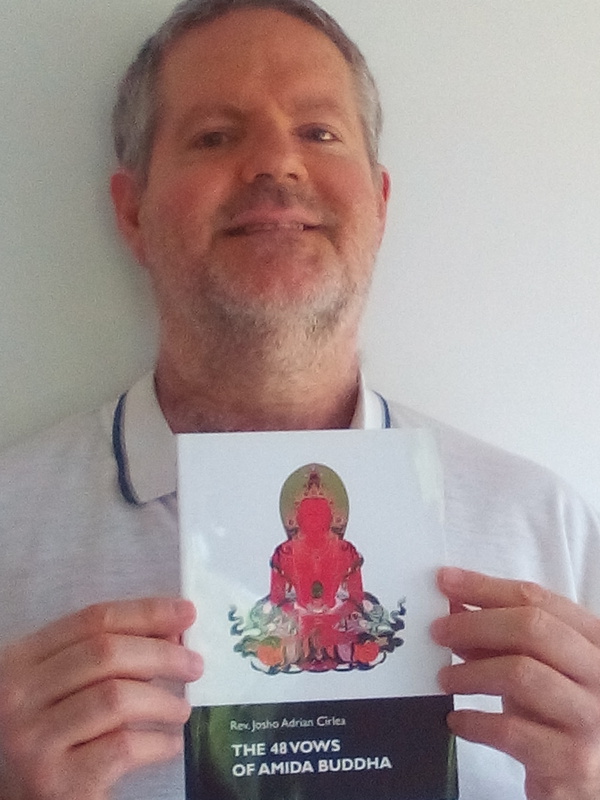 Here is a video teaching by my Dharma friend, Paul Roberts, on Amida Buddha and his Pure Land in accordance with the Larger Sutra on the Buddha of Infinite Life (Bussetsu Muryoju kyo). 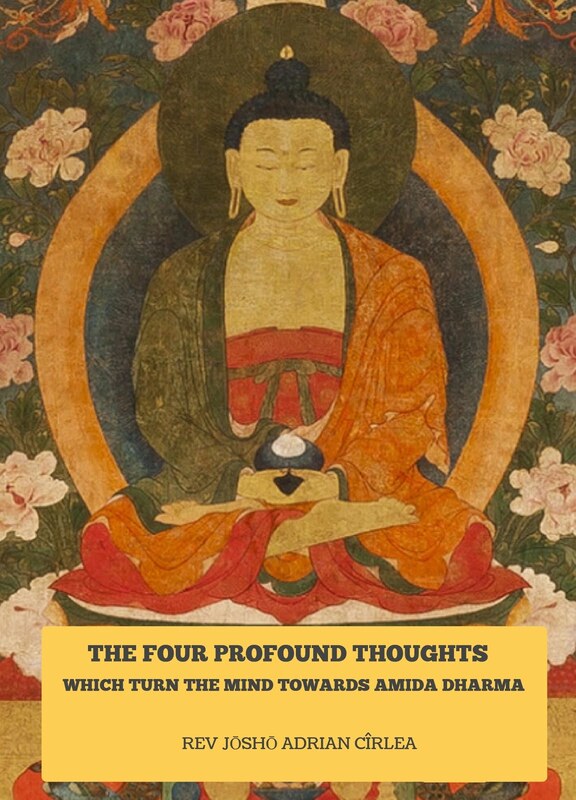 It is a useful guide on what Amida is and what is not, very much needed in these times when so many divergences from the Jodo Shinshu teaching appear. I praise Paul's initiative to start a series of Dharma talks on youtube and I highly reccomend him as a genuine teacher of the Dharma. For those who asked how to recite the Name of Amida Buddha (nembutsu) here is a record from a Dharma meeting at Tariki Dojo Craiova. This is how we do it, but its not the only method of saying the Name in our tradition. Here is the Larger Amida Sutra cartoon. I also added it on yotoube. Next post is with the cartoon about LIFE OF SHAKYAMUNI. At the link from bellow, you can listen to a recitation of the Homage to Shakyamuni Buddha(Vandana), the Three Refuges(Ti-sarana) and Amida kyo, on Wesak day 2007, by Tariki Dojo sangha- Craiova. This is Not a so good recitation :), but I said to add it here anyway, so you can have a little look on our recitation practice. On Wesak day we usually have some guests from other Buddhist traditions or people interested in general Buddhism. On this occasions we try to have a common recitation practice. This is why the last time we chose Vandana, Ti -sarana and Amida sutra which is chanted not only in Jodo Shinshu tradition. Unfortunately, at the last Wesak only few people attended. ps: the record was done without special preparations and not with a good technical device. The ceremony included oshoko (incense offerings to the altar) which was done in turn by every participant while the others continued the recitation. - There is a small break between recitation of the Three refuges and Amida kyo.